Know a friend or family member who loves home decor? If so, this guide should be helpful! I've tried to choose a mix between unique items as well as items that can be easily integrated into anyone's home. 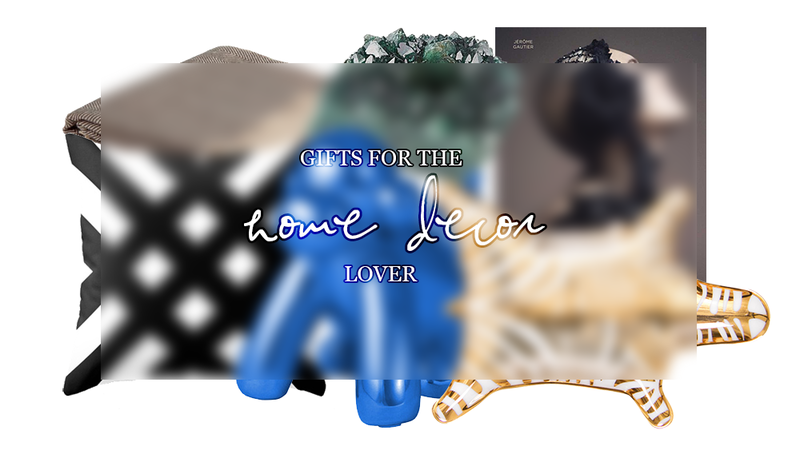 However, if you don't like my picks, most of the websites these picks are from have different options so if you know the decor of your giftee's home, you can easily pick something else that will match their decor tastes. 1. West Elm Crystal Votive Holder: If you've been a reader of my past home decor posts, it'll be no surprise to you that I've included a quartz candle holder in this gift guide. I'm a big fan of using natural crystals and geodes to home decor. West Elm's holders come in four different colors; purple, white, black, and the green as pictured above. 2. Chanel The Vocabulary of Style Coffee Table Book: This is the perfect gift for both the home decor and fashion enthusiast. This book will become a statement piece on your giftee's coffee table or library shelf! If your friend already has a Chanel book or Chanel is not one of their favorite designers, just choose another designer! I also love the Alexander McQueen Savage Beauty book. 4. Monkey Money Coin Bank: Probably the most unique item on this guide, this adorable and eclectic balloon monkey object is actually a coin bank, but it's definitely great as just a decorative object as well. It's obviously inspired by modern artist Jeff Koons (check out some of his work here), but you don't have to be a fan of Jeff Koons to appreciate this monkey. 5. Zara Home Herringbone Throw: I'm kind of obsessed with anything herringbone patterned (yes, I do have a herringbone throw myself! ), so when I saw this throw I had to put it on the gift guide. If you don't think herringbone is the ideal pattern to give to your giftee, Zara Home has a great selection of many different types of throws. Better yet if you can find a throw that allows you to monogram your giftee's initials! 6. 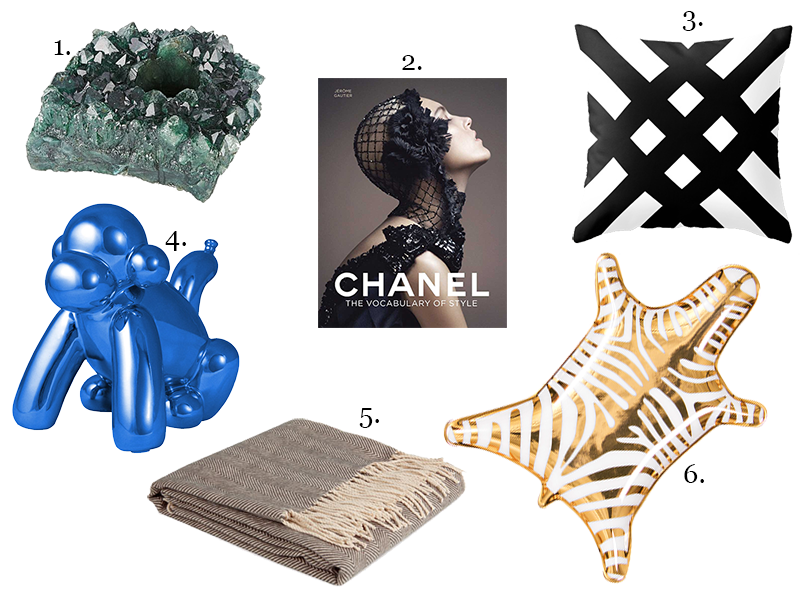 Jonathan Adler Zebra Dish: What's your giftee going to do with this zebra dish you say? Well it could be a number of things; a ring dish, a coin holder, a catch-all dish, or a paperweight. It's gold, shiny, and chic! Plus, no zebra was harmed in the making of this dish.